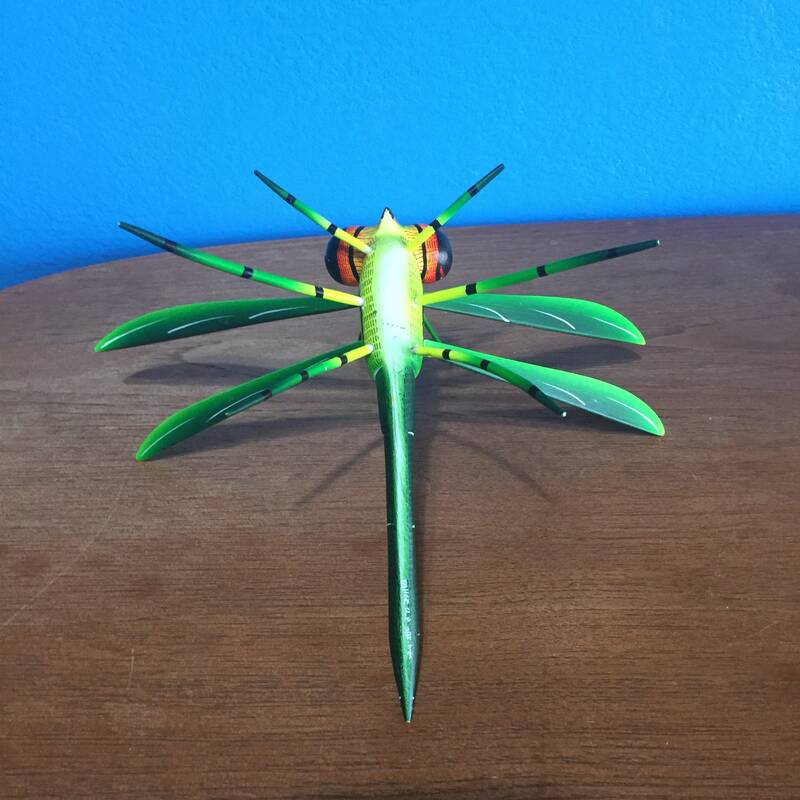 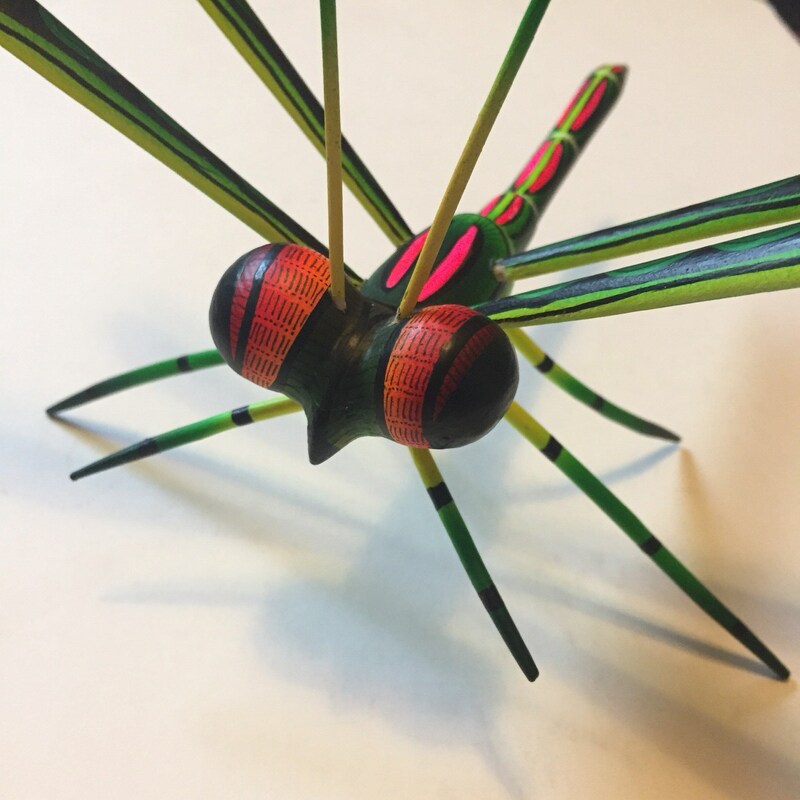 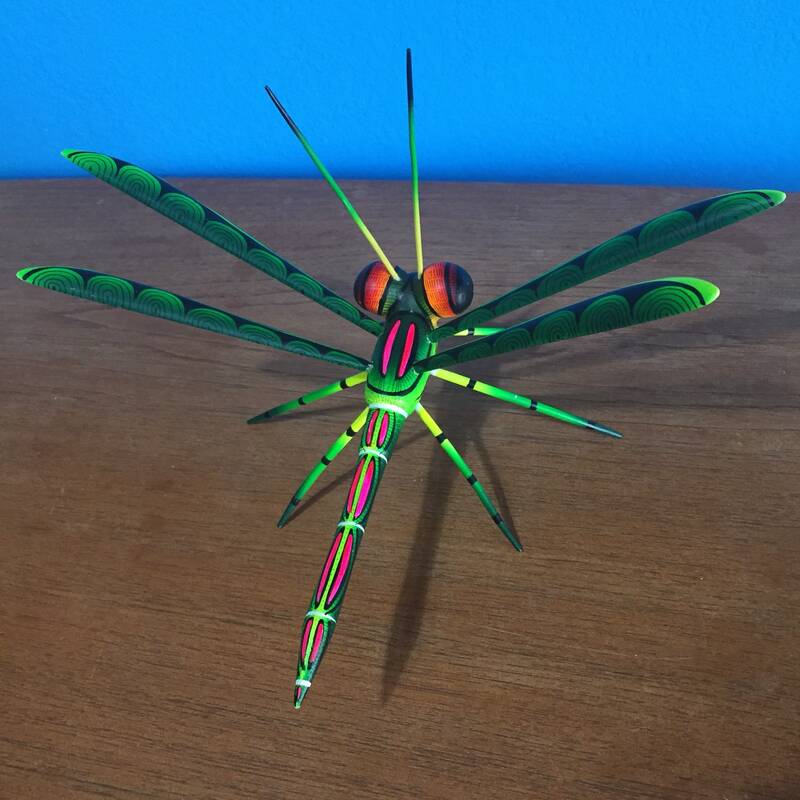 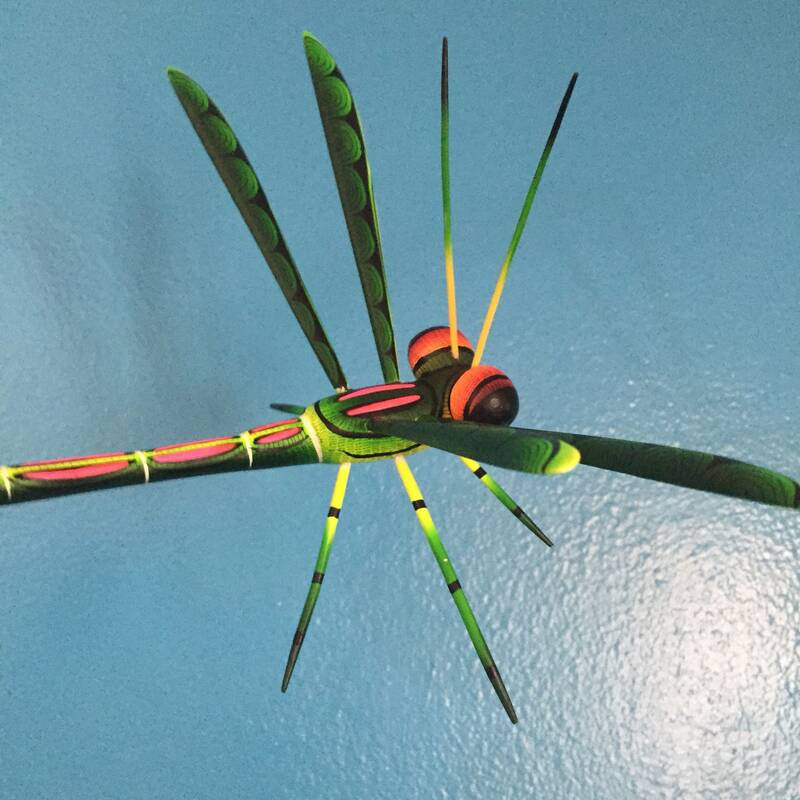 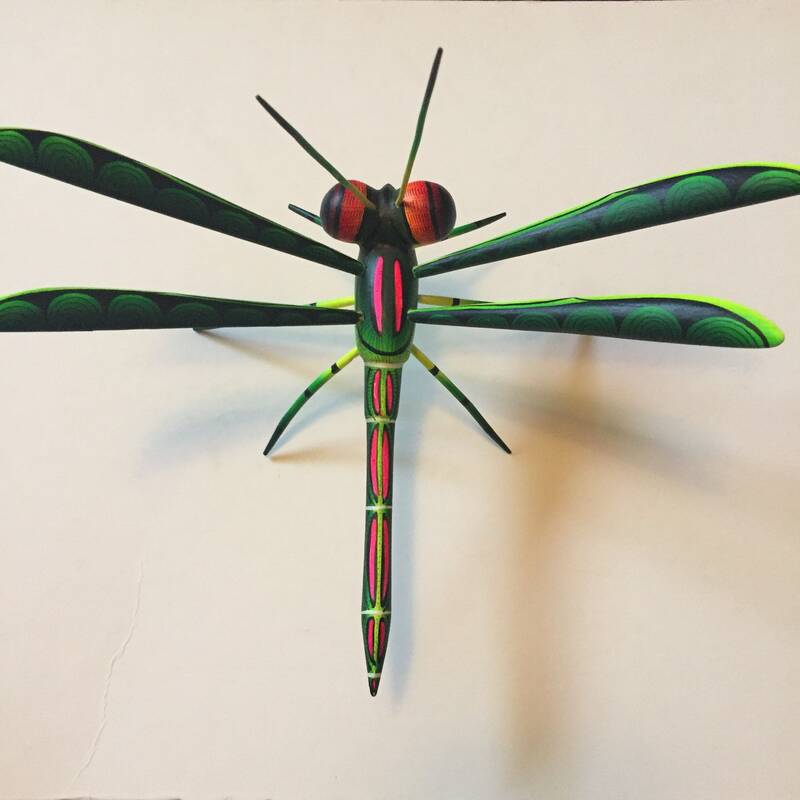 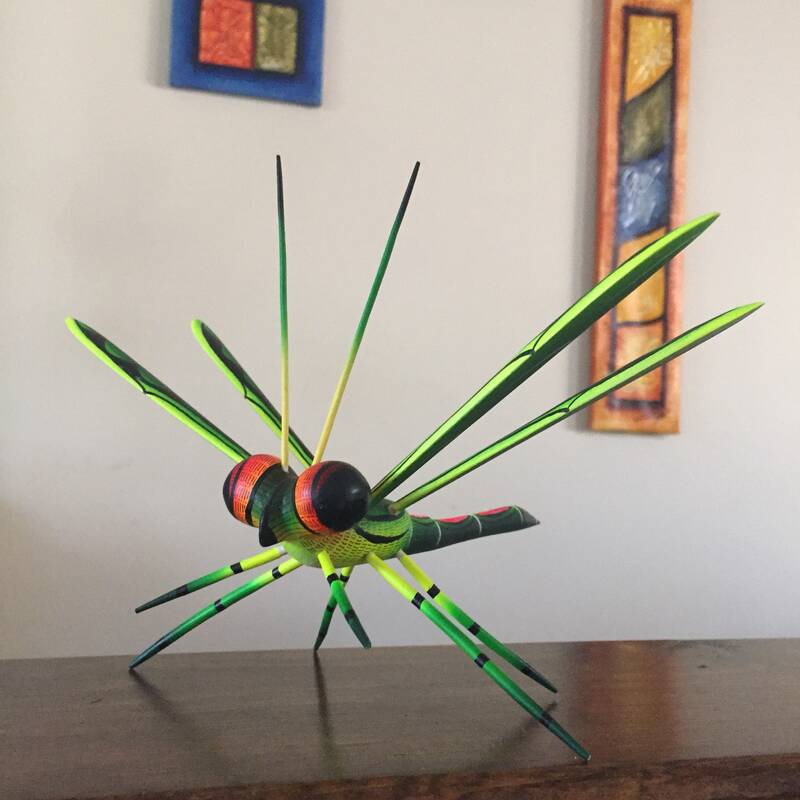 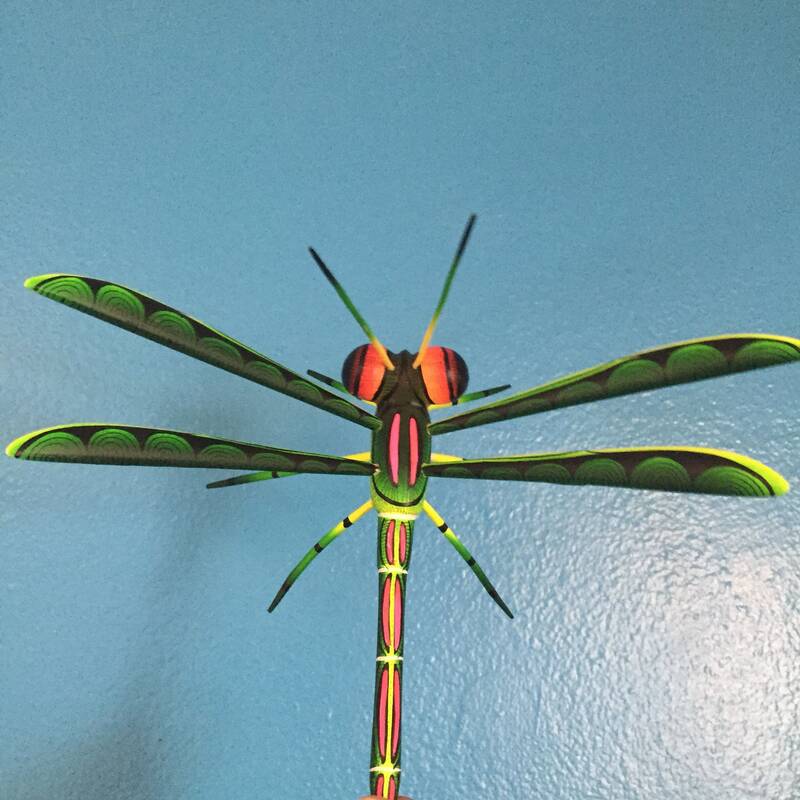 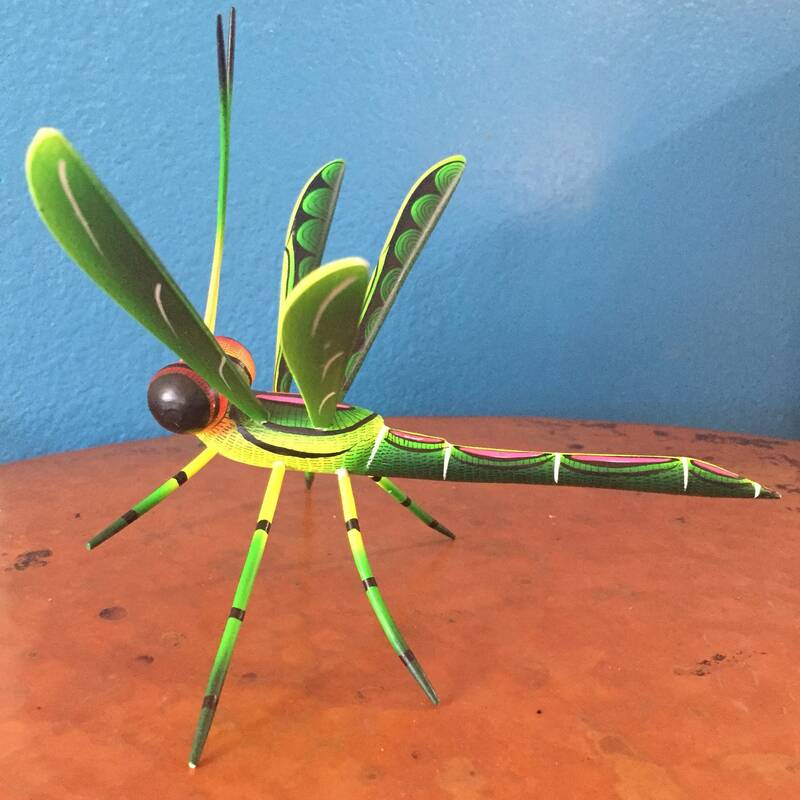 This colorful green dragonfly is approx. 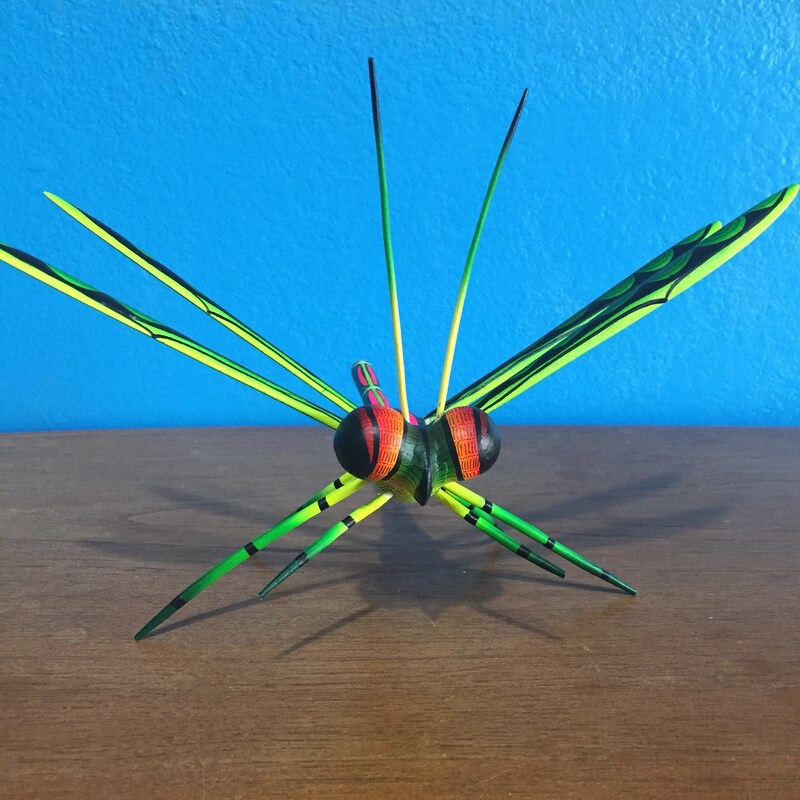 8" x 6” x 6” (w x h x d). 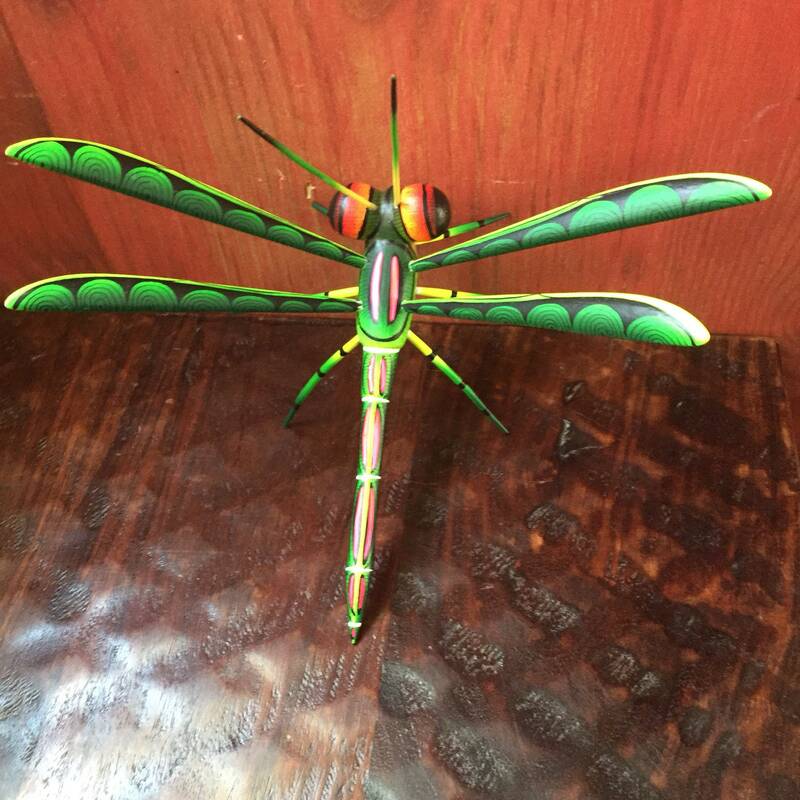 Hand carved and hand painted by artists, Taller R.P., from Oaxaca, Mexico.